Southeast Pools, in Clermont is a premium, but affordable, swimming pool cleaning company. When you hire our technicians, you can swim easy knowing that your pool is clean and free of debris. We also make sure to maintain your pool by checking and balancing the chemicals. We offer weekly and bi-monthly full-service maintenance plans to our customers in ChampionsGate, Lake Mary, Dr. Phillips, Lake Nona, Haines City, and other surrounding areas around Orlando Florida. 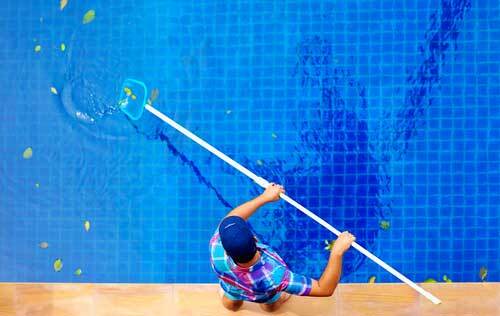 Let’s face it, not all pool cleaning companies are created equal. You may have hired a pool cleaning company in the past who would “clean” your pool only to leave you not wanting to swim in it. When you live in Clermont, Florida, everyday can be a vacation, especially when you can walk outside and take a swim. We’ll take care of vacuuming, brushing the tile, and removing debris from the pool surface and filters, so you can swim easy. More than just a cleaning company, Southeast Pools’ technicians will provide maintenance and all other full-service needs your pool may have. Each plan we offer provides for complete pool cleaning, maintenance, and services, and allows us to regularly check for issues that could become big problems if left undetected. Southeast Pools is the name to trust for cleaning your swimming pool in Clermont Florida. We let you “swim easy” by handling the cleaning and maintenance. We recognize that each pool we work on has different needs requiring different solutions. Contact us today so we can visit your pool and provide an ACCURATE quote based on facts and information, not cookie-cutter guess-work. When looking for the most professional, cost-efficient, and trustworthy home pool maintenance, cleaning, & services in ChampionsGate, Reunion, Davenport, Auburndale, South Orlando, Montverde, Kissimmee, Celebration, or anywhere else in thesurrounding areas, contact Southeast Pools by phone at 407-507-2570 or contact us online. Mention our special and receive 25% off your pool cleaning service plan for the first 3 months.